I've had four integrated tube amplifiers, one stereo and two monoblock 300B-based flea-powered amplifiers, two tube-based preamplifiers, and am not seeing myself ever going back to tubes. Enjoy your set-up though. To each his own. 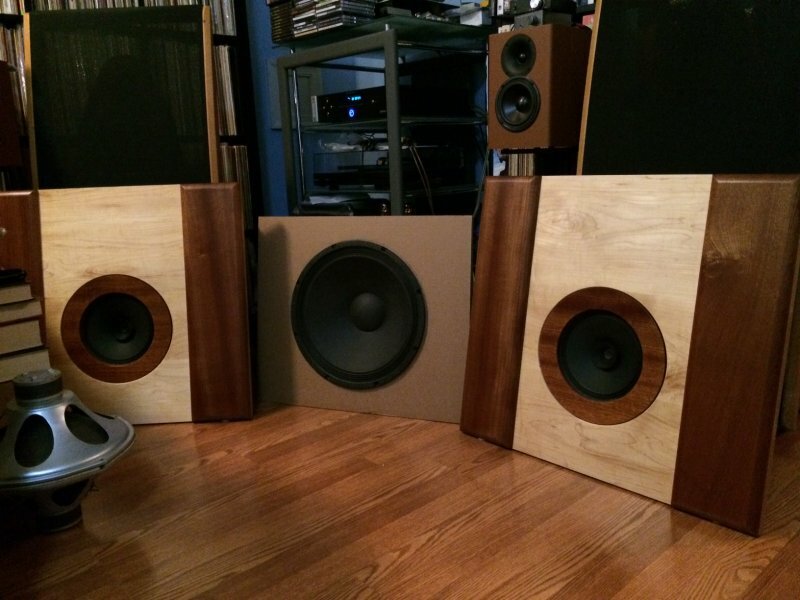 Which OB speakers do you have? Wild Burro Betsys on custom made baffles. A lone 15" Eminence Alpha providing the low end, connected to a plate amp. The tube amp powers the full range. Nothing wrong with solid state. I just find my listening with tubes to be more enjoyable, especially for jazz and classical. It is different. What do you use for x-over? They come with it? I'd still like to put together a tube rig sometime later in life, if just for the fun/hobby aspect of it. And while I'd like to say that I'd never use it for "critical listening" I find that I do far less of that than ever these days. I've gone back to simply enjoying the music without employing too critical an ear. No crossover on the full range. Plate amp which has an adjustable crossover connected to the woofer . Works just fine. At this point I'm long past critical listening; I want to have fun listening, and I've been told the Type 45 amp is a hell of a lot of fun. Are those stats behind them, or are they attached to the OB speakers? I see you still have your Emotiva. No, those were Dahlquist 20i speakers that I sold during the furlough in January. I found myself preferring the open baffle speakers more. Which is a little weird since the Dahlquists are partially open baffle, at least on the tweeter and mids. Not the woofer. And they have a big crossover. The OBs have a more open sound, and no crossover on the Betsys, but an active on on the plate amp that drives the woofer. Still have the Emotiva cd player! Actually, the cd transport up and died on me over a year ago. I did some heavy searching and discovered an exact drop in replacement driver from China for $50 shipped. Carefully replaced it and it is good as new! I’ve always gone steady state transistors and more than happy with it. As long as the power transistors are well matched, fast and up to the job, the results are excellent. Had an allergy to thermionic valves since our old family B&W TV set (10” ) in the 60s needed endless kicks to sort out the scan and/or endless repairs ! Looks more like an electric storage heater ! There was a belief back then, definitely wrong, that uglier the audio gear was, better it sounded. How do you connect your amp to these and the sub? I use a passive preamp. Tisbury Audio makes an excellent and affordable one. It has four inputs and two line outputs. One line out goes to the tube amp, the other to the plate amp. ??? Aren’t all preamps passive? When my wife and I first moved in together, our only tv was a little 9” black and white, as we were poorer than dirt poor at the time. And now the smallest tv in our house is 37”, which looks relatively small to our other two. Times have definitely changed. A lot! I think at least 50% of the charm of tube preamps/amps is the beauty of the tubes when they are lit. I think they are truly beautiful to look at. No. Active preamps have on off switches and power cords. Passive has neither. It just passed the signal through with nothing added to it. How do you increase the gain? Does your source have a volume control? Well! I’ve definitely learned something new. I had no idea you could have a preamp with no power source. Bizarre! Both the tube amp and the passive preamp have volume controls. I can max the volume on the passive and just use the amp volume control with no distortion. I went tubes for several years but switched back to solid state after realizing that the hassles were not worth it in the end. To my ears, tubes sounded no better or worse than solid state. What I really hated the most was the heat. In the summer, I would often forego turning it on due to the heat. When I thought about that, I mean really, not listening to music because the tubes would roast me... that was just dumb. I picked up a nice Marantz solid state integrated amp and never looked back. I find that interesting. Hassle? I haven't had tube amps that doubled as room heaters. Were tubes making noise or expiring too soon? I'm never going to say that tubes are better or worse than solid state, or vice versa. I think the key here are the speakers one has. Open baffles have synergy with tubes and high sensitive speakers. 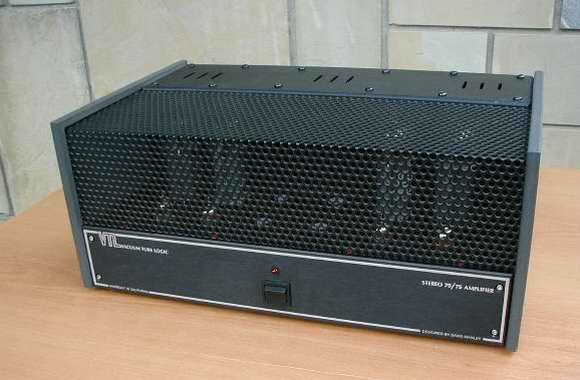 Solid state can drive lower efficient speakers as well as high. If the hassle is cost that is another issue. Open baffles have synergy with tubes and high sensitive speakers. Can you explain what you mean by synergy?